This 2-mile, 2-lane corridor through Prairie Trail was completed in four phases from 2008-2018. Varied cross-sections include residential, commercial, parks, and stormwater wetlands. Nilles Associates performed surveying, civil engineering, construction administration and observation, as well as staking. Features include in-street parking, 10-foot wide off-street trails, traffic signalization, lighting, turn lanes, medians, wetland basin maintenance access, and pedestrian crossings with varied paving treatments. 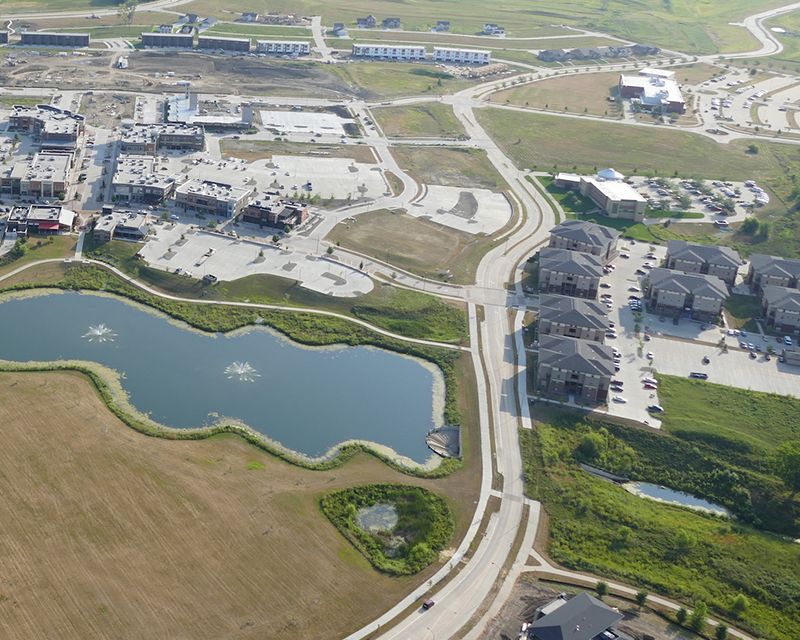 Nilles Associates, Inc. served as Civil Engineering consultant during initial planning and was retained by the developer and City for the majority of projects throughout this Master Planned Urban Development. Roadways were completed in conjunction with or in anticipation of adjacent projects.